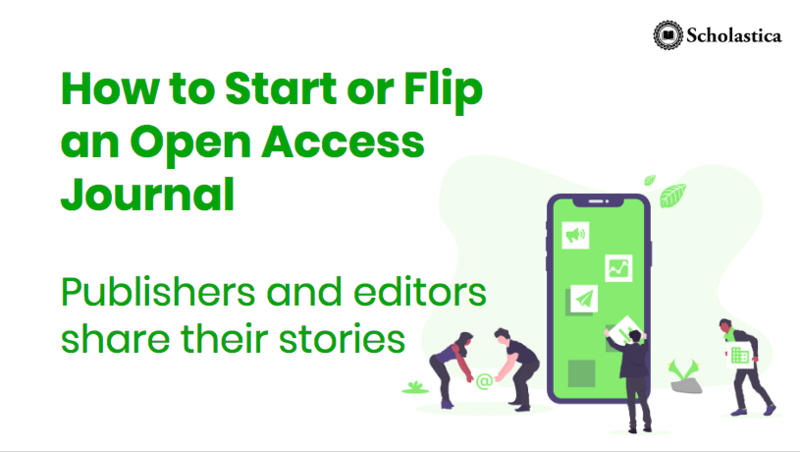 Did you miss the live stream of Scholastica’s recent webinar, “How to Start or Flip an Open Access Journal: Publishers and editors share their stories”? You can watch it on-demand! Check out the recording below. Academic-led journal publishing is on the rise, with more universities, scholarly societies, and even groups of scholars running open access journals. Whether you’re considering starting a new OA journal or flipping a paywalled title to an OA model, you’re not alone and there are many lessons you can learn from current academy-owned publishing initiatives. On December 5, 2018 Scholastica hosted a free webinar titled “How to Start or Flip an Open Access Journal: Publishers and editors share their stories” to highlight two great examples of academic-led OA journal publishing. The webinar features Jaclyn Sipovic and Sean Guynes, the outgoing and incoming Journals Coordinators at Michigan Publishing, respectively, as well as Hugh Thomas, Co Editor-in-Chief of Algebraic Combinatorics, the flipped version of the Journal of Algebraic Combinatorics. During the webinar, guest speakers discussed the benefits of academic-led publishing as well as the ins and outs of running academic-led journals, sharing their own experience and lessons learned. Topics covered include key considerations for flipping a journal to OA or launching a new journal, as well as how to pick an OA funding and publishing model. Michigan Publishing’s Jaclyn Sipovic and Sean Guynes shared what to think about when planning a new publication, including journal aims, scope, management, and workflow structure. Additionally, they discussed some primary considerations for journals when deciding the publishing model and services that are right for them. Finally, they discussed some of the top journal funding models that they’ve seen and how to go about seeking sustainable journal funding. Hugh Thomas then shared his experience working with the former editors of the Springer-owned Journal of Algebraic Combinatorics to launch a new flipped version, titled Algebraic Combinatorics. He shares how they navigated publisher contracts and copyright concerns, the benefits of flipping an existing title, and how he and the editors of Algebraic Combinatorics went about forming the journal and notifying scholars in their field about the new title. The webinar features a Q&A at the end, during which viewers were able to submit questions for the guest speakers to answer. Topics covered include publishing costs, impact indicators, and much more. The full webinar recording, featured above, is freely available to watch. You can also access this webinar recording and others like it any time by visiting Scholastica’s YouTube channel.